More natural-looking crowns? Yes please! Our E4D (same-day crowns) team traveled to North Carolina this past weekend for an advanced porcelain & esthetics continuing education course. 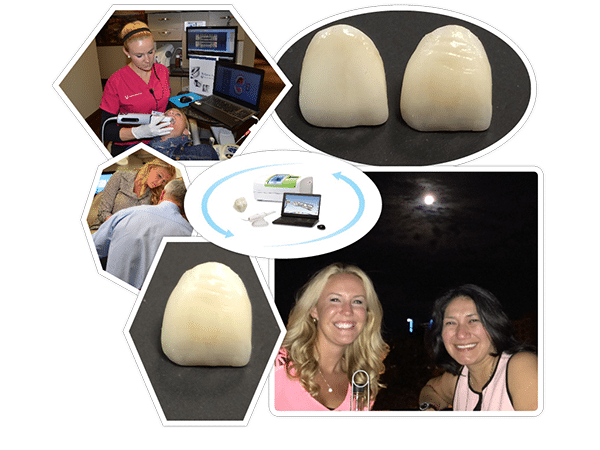 It is important for your dental office to stay on the cutting edge of science, technology, and art to deliver the best quality and treatment options available. We will be attending the ODA continuing education seminar next month. We have been making same-day crowns for several years, but continue to practice and educate ourselves for the benefit of our patients! We are able to produce and customize more natural-looking restorations right in our office. This is more efficient and customized, as we can adjust and make changes while our patients are in the chair, instead of relying on a lab. Curious about same-day crowns? Call us today!